Intel wants you to get a front-row view of sports events on TVs, video streams and even VR headsets with its acquisition of Replay Technologies, announced Wednesday. Replay's FreeD technology is a rendering engine that brings a 360-degree view of sporting events to viewers. The technology allows viewers to see plays from several angles. FreeD involves captures sporting events using 28 4K cameras located around an arena. The videos are processed on Intel's servers. Intel says it is entering the market of "immersive sports" with the Replay acquisition. The companies have collaborated on previous sporting events, showing basketball moves from multiple angles during the NBA All-Star game last month and replays of a field goal by the Baltimore Ravens. It's a one-way experience for now, limited to replays with content providers deciding what angle to show viewers during a broadcast or video stream. The technology could evolve to be more interactive with users choosing their views. Intel has been investing heavily in VR technology, and the company said the acquisition could extend into VR systems. 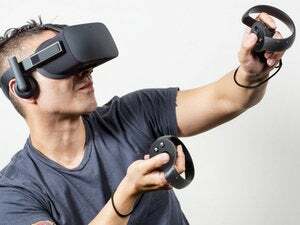 An Intel spokeswoman also didn't rule out the possibility of the technology coming to virtual reality headsets. "The crux of this transaction is data and the digitization of sports, but the experience could fall into the category of virtual reality," the spokeswoman said in an e-mail. The company did not reveal further plans on how it will use Replay's technologies in the VR arena. Intel declined to comment on the amount it paid to buy Replay. Replay's technology could play a role in capturing real-world content for use in VR and augmented reality worlds. Intel already sells a 3D RealSense camera that can capture and transport real-world surroundings to augmented and virtual worlds. The 3D camera can go deep inside images to determine the size, shape and contours of objects. The real-world surroundings can be transformed into a 3D VR experience or background for games on VR headsets. Intel is reportedly developing its own VR headset with the RealSense camera. At CES, Intel showed a smartphone with a RealSense camera that could be plugged into a VR headset from IonVR.